- a commentary from an Occupational and Environmental Health standpoint. The consultation document Working Together for a Healthier Scotland presented by the Secretary of State for Scotland and published by the Scottish office Department of Health is in many respects timely and relevant. In "completing the jigsaw" mention is made of the contribution of industry to an impact on the public health both in the market and in the workplace, but environmental and workplace impacts on health are generally not targeted in detail in the document. Although there are noteworthy exceptions such as the National Air Quality Strategy. It is encouraging to note that the document proposed is "tackling public health on a broad front", and in the introductory chapter, reference is made to housing and the environment, as well as other social factors being inextricably linked with health. In the past, environmental health and occupational health have not necessarily been well co-ordinated between the various departments. It is important to set targets regarding environmental health and work related ill health as well as other health issues. Occupational fatalities, injuries and disease in some sectors and outcomes in Scotland compare unfavourably with perceptions of what is acceptable, or indeed with statistics from elsewhere. "Significant death rates were recorded from accidents in each of the main categories: work, leisure and sporting activities, road traffic and in the home. For example, in 1996-97, half a million working days were lost in Scotland as a result of accidents at work. ". More strenuous efforts need to be made by the enforcing authorities namely the Health and Safety Executive, but also Local Authorities to ensure compliance with legislation and to take steps where the law is flouted. Paras 51 and 52 state that "Housing conditions can affect health in many ways……. cold and dampness can worsen respiratory illnesses….. Drinking water supplied through lead plumbing …….. problems of naturally recurring radon gas at high levels, if not addressed, can substantially increase the risk of lung cancer. A clean, well maintained environment, free from pollutants and dereliction, helps safeguard physical and mental health"
However none of these areas feature specifically under the priorities in para 81 except perhaps partially under the (important) word ‘deprivation’. Para 55 acknowledges that " A safe and healthy workplace is important. For people who work, the working environment is a significant influence on their health. For many, going to work is a positive part of their lives, and it helps them stay healthy. But we need to make sure that work does not injure people or make them ill, and that they leave work at the end of the day at least as healthy as when they arrived. ". In para 92, it is to be welcomed that "The Government are committed to ensuring that the people of Scotland have the benefit of healthy influences and access to health promoting resources wherever they live, learn, work, spend leisure time and seek help. To this end, it is important to encourage the continued development of health promoting strategies, policies, facilities and education in arenas such as the Health Service, schools and other educational institutions, the workplace and a range of other community settings, formal and informal. We need frameworks for a health promoting Health Service, the health promoting workplace, "
The fundamental concepts of health and safety at work as a right and as a responsibility should form part of the education of all citizens aspiring to a working life. These concepts are an integral part of personal and social development. 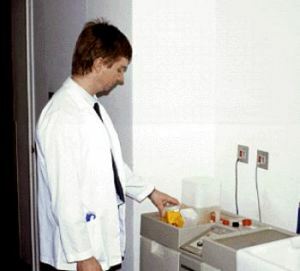 Similarly in the health promoting health service, the reduction of risks to health of staff and occupational rehabilitation of the disabled must be a highest priority, partly for the efficiency of the service itself and partly for the service to act as an example to others. Work in the health service currently carries substantial risks or muscular skeletal injury, psychological stress, and other less frequent but potentially disabling ill health such as dermatitis and asthma. In para 103. "The Government propose that this task should be facilitated by means of health impact assessments, which will identify and evaluate the health implications of relevant new central government policies and initiatives…… The emphasis will be on identifying a small number of significant policies which clearly affect health and on considering how best health gain can be maximised or, conversely, adverse effects on health avoided." In para 110 and 111. "A clean environment is a key health determinant. We will continue to take action to improve the quality of our environment. …… Our sustainable development strategy is, therefore, a key contributor to the drive to improve public health in Scotland……. Key areas include: ……priorities for housing investment. ….have……a direct relevance to health. 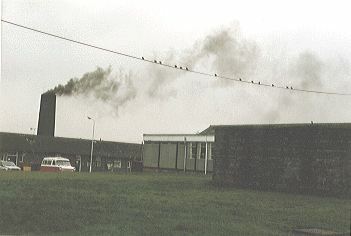 ……Pollution, too, can be addressed by policies which reduce the need to travel and dependency on cars, especially in urban centres; and greater provision for cyclists and pedestrians……Air quality is high on our agenda…… The Government’s National Air Quality Strategy was implemented in December 1997. 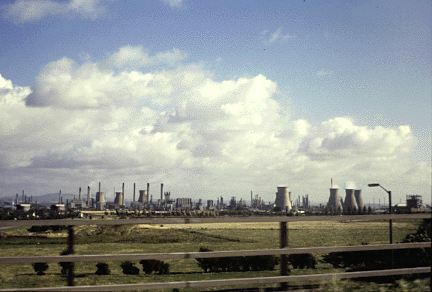 It establishes health-based standards and objectives for 8 individual pollutants to be met by 2005…… the UK water industry has made steady progress in the understanding of lead in drinking water and has moved towards compliance with a lead standard……"
This is a significant positive attitude which, especially in relation to the influence of environment on health. In para 111 it is also acknowledged that "....a safe and healthy working environment is an important determinant of the health of the workforce. The Health and Safety Commission and Executive are working on a national occupational health strategy and expect to issue a consultation paper during 1998. This strategy will complement and contribute to the strategy for a healthier Scotland." "The Government propose to review existing public health legislation in Scotland to assess whether additional legislative measures are needed to protect the public health." Scottish devolution should include a special initiative for a specific environmental as well as occupational health strategy for Scotland. At present, issues of the environment and of work, and their direct or indirect influences on health may involve a number of Govt depts or agencies e.g. local authorities, SEPA, HSE etc, as well as diverse legislation – some of which is distinctly Scottish, and some which applies to the whole UK. The inter-relationships, resourcing, and perhaps even the fundamental structure and ethos of these various bodies may need a radical review to meet the challenges and needs of a devolved Scotland. However, having targetted ‘health topics’ and ‘lifestyle topics’, and having previously acknowledged the importance of environmental factors, one would perhaps have expected more targeting of environmental determinants and outcomes within this Green Paper. For example the intent " to collect data.....comprehensive information on asthma incidence" is well founded. These initiatives should extend to inclusion of extant schemes for collecting occupational health data for example on occupational asthma and other diseases. Targets should be set for occupational health based on accurate reporting systems. The reduction of exposure to workplace hazards should be included and performance indicators developed for both exposures and health outcomes. Having earlier acknowledged the importance of radon in homes, of lead in water, etc, should there not have been specific targets in these areas? It is encouraging to note in para 218. That "The priorities in research might include the following: selecting key indicators for health determinants outwith the health sphere but which impact on health and well-being (eg housing);" but it should also be acknowledged that the wider environment and the workplace are very important determinants of health which should rank alongside housing in their needs for further research. Most principles are generally very good and worthwhile but while targets have been set for disease and lifestyle, no new targets are being proposed for the environment generally and for the workplace. There is a great deal of emphasis on explicit targets and steps for lifestyle improvement but perhaps not enough on environmental improvement. There are lots of willing partners who could work together, and many of whom do - more needs to be done to achieve environmental improvement co-operatively - but to ensure an adequate legal safety-net too.